Social content consumption is on the rise! According to We Are Social, there are 3.196 billion global social media users, which is equal to 42% market penetration. As people turn to different social media channels to search, businesses will have to improve their content resources. And, although, according to Google, social media is NOT a direct ranking factor, you’ll see in this article, that social media still plays key roles in SEO (Search Engine Optimization). Treat social media like a search engine to increase discoverability. The goal is to be where your ideal customers are online presenting them with the specific information they’re looking for. People don’t just go to Google to look up stuff; they also go to social media channels to search for what they’re looking for. Search engine optimization for each social media channel should be handled differently. 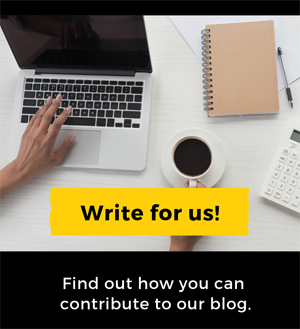 Check out these resources to learn more about optimizing for specific social media channels. Take Your GMB Listing to the Next Level! 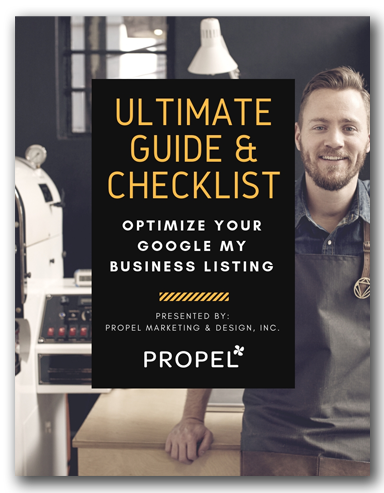 Grab the Ultimate Google My Business Guide & Checklist. 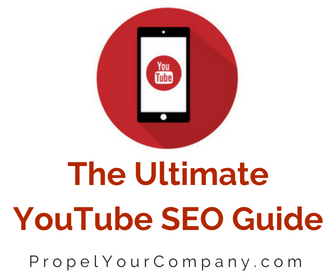 Take Your YouTube Channel to the Next Level! Take Your Social Media Listings to the Next Level! 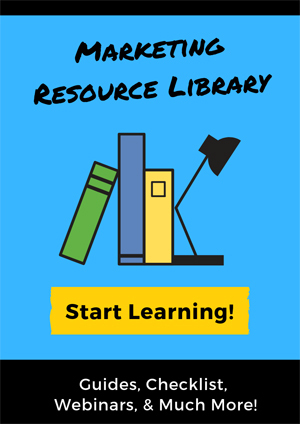 >> You can find more information on connecting with your target audience with specific content by checking out the Content Marketing Planning Template. Creating quality content and distributing it through social media platforms gives you the ability to reach an audience beyond your established customers and find new customers. There has been an exponential growth of Facebook and Twitter pages making their way to the top of Google results. Your GMB (Google My Business) listing not only increase your chances of showing up in the Google Local 3-pack but when your business is searched for by name, Google often shows a Knowledge Panel that displays detailed information about your company. These details are pulled directly from your GMB listing, as well as from information Google finds from other online sources and user-generated content (like third-party reviews, Q&As, user-suggested information and so on). Just as search engines don’t count all links equally, they don’t view all social accounts as being the same either. We see this all the time when we come across fake social media accounts. Anyone can create a new account on a social network. So, what’s to prevent someone from making 200 different accounts to manufacture fake publicity? Ideally, you want to gain references from social accounts with good reputations. Having your own social presence that is well regarded is important. So, participate on relevant social platforms in a real, authentic way, just as you would with your website, or with customers in an offline setting. If you’re looking for a sushi restaurant near you, most people will Google a nearby place and click on their Google My Business profile and read their reviews. Are you more likely to go to a place that has mainly 5 stars, or one with horrible reviews? Spreading the word socially promotes your content to a much wider audience, increasing the possibility that it will be shared by others. Similar to links, getting quality social shares is ideal, but being shared widely on social networks is still helpful. Good things happen when more people see your site or brand. The more people you have following you on social media, the greater potential you have for online content shares. The more social shares you have, the more opportunities you have for people to see your content. With recent algorithm changes and advancements in Google’s algorithm, there’s an increased impact of citations on validating the relevance of links and; ultimately, ranking. Your brand name, product name, employee’s names, addresses and phone numbers are all distinct data elements. Getting them out there on all social sites validates your existence and authority. 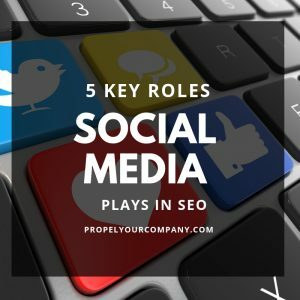 Companies need to have a social media SEO game plan! The first step is to identify your buyer personas and figure out which social media channels they frequent and what type of content you can offer them through each social media platform. 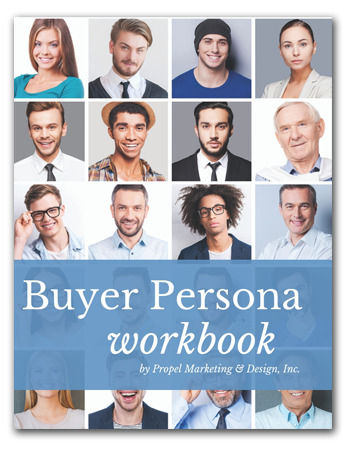 Create a better connection with your ideal customers/clients with the Buyer Persona Workbook.